A recent development out of Washington D.C. promises to make a huge impact on the ongoing driver shortage in America and create more jobs for graduating high school seniors. Passage of the DRIVE-Safe Act was made possible early this year by Representatives Duncan Hunter (R-Calif.) and Trey Hollingsworth (R-Ind.) with backing from both the American Trucking Associations (ATA) and the International Foodservice Distributors Association (IFDA). The act seeks to address the issue of young drivers ages 18-20, whom until now, were not legally permitted to cross state lines for the transportation of goods. So in what ways will this new initiative serve to improve not only the trucking and foodservice distribution industry, but the economy as a whole? Stipulations under the DRIVE-Safe Act require that drivers under the age of 21 must undergo completion of a highly demanding apprenticeship program beyond simply earning their CDL. This will comprise of 400 hours of on-duty time and 240 hours of driving under the supervision of an experienced driver over the age of 21. The young drivers will also be required to prove they can master such skillsets as rural two-lane driving and maneuvering into close quarters among several other performance benchmarks. Strict adherence to these guidelines will mean safer road conditions for all motorists and is sure reduce the number of preventable accidents each year. With the increasing number of baby boomers retiring, the trade industry is reaching a demand that must become more accommodating to the millennial generation in order to survive. Passage of the DRIVE-Safe Act will help to fill the growing employment gap with eager young drivers who prove themselves capable of transporting goods safely and efficiently. More drivers on the road will translate into more cooks in the kitchen thanks to the coupled support from the IFDA on the passage of this bill. 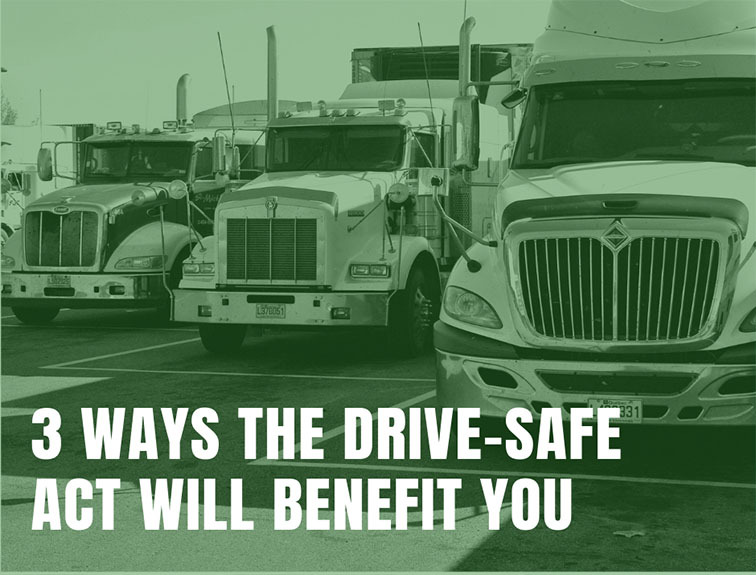 The food industry recognized the positive benefits the DRIVE-Safe Act would have on the transportation of food to stores and restaurants all over the country. This will ideally yield shorter delivery wait times, a reduction in the cost of fresh food, and more affordable meals at your favorite restaurants. Think more drivers, more food service workers, and more money in your pocket! By clicking below, I consent to receive telephone calls and text messages from Diesel Driving Academy containing information at the number above about their programs. I understand that the calls and messages may be initiated with automated equipment and that I am not required to provide this consent to be eligible to enroll.